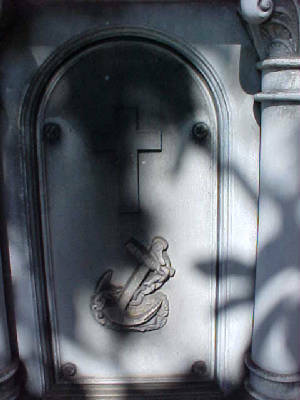 IRON TOMBSTONES & GRAVE "COVERS"
This page will show other metal markers & monuments, some of which I imagine were quite expensive. 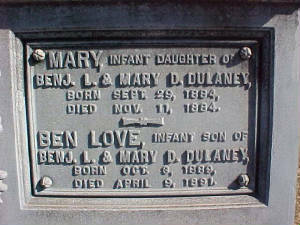 The above 2 pictures are of monuments made entirely of metal albeit hollow within. 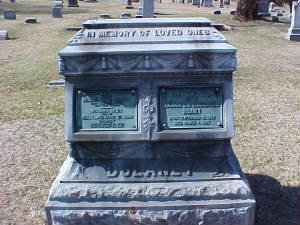 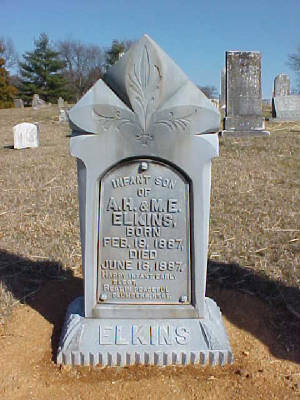 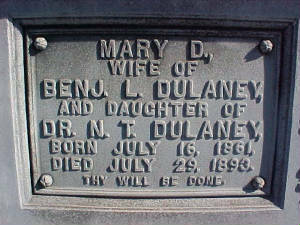 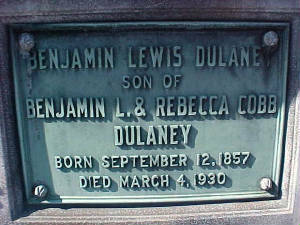 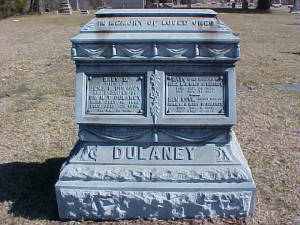 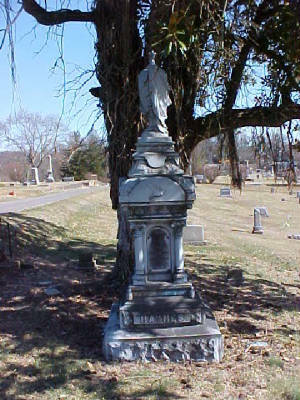 The lower view is one end of the Delaney monument. 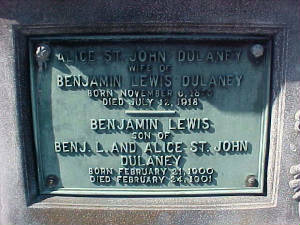 The 4 pictures below show two other sides and the 4 metal plates bolted to the sides. 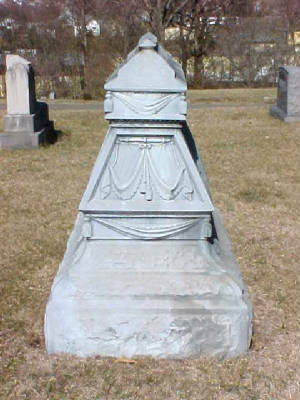 These are excellent examples of early craftmanship as well as a beautiful and long-lasting tributes to loved ones. 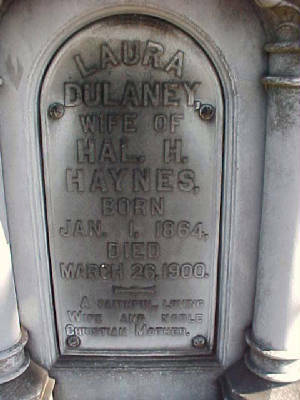 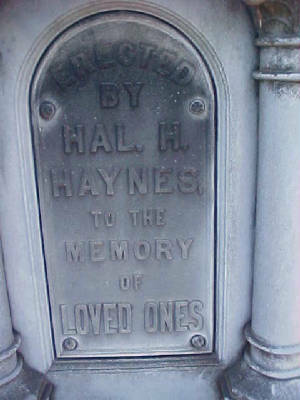 Above is the Hal R Haynes stone monument erected to family members.The other 3 pictures are of metal plates bolted to the sides.